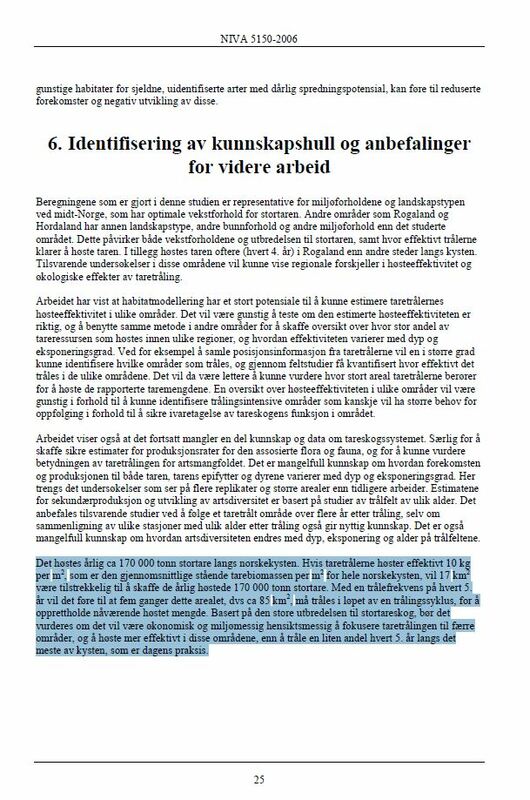 The purpose of us writing this is to hopefully prevent the Norwegian state and local interests from using the Havforskningsinstituttet papers and its conclusions reviewed here to underpin the present, continued harvesting practice. The reader is encouraged to spread it so it will have an effect. 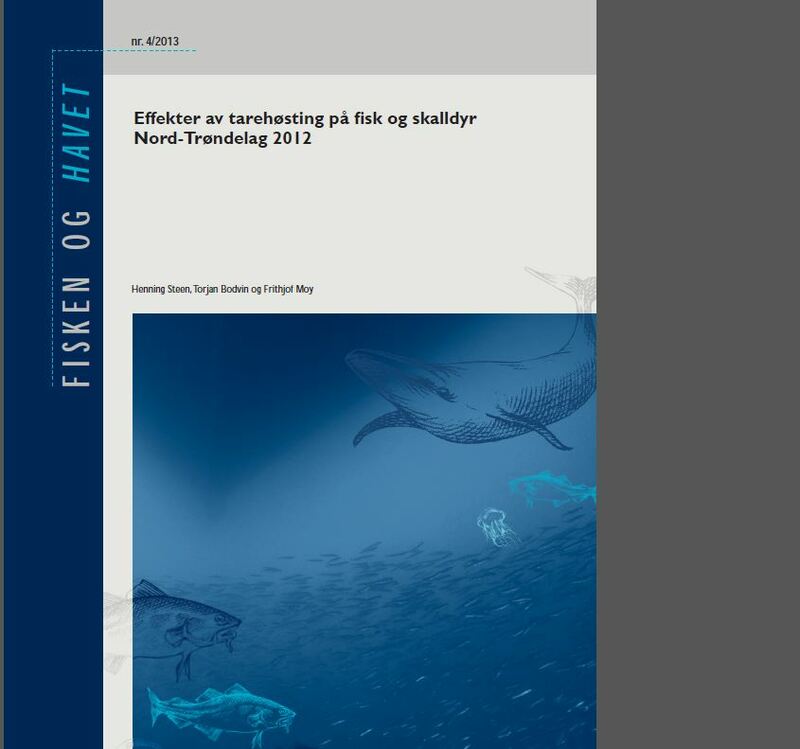 The research paper “Effects of seaweed harvesting on fish and crustaceans – Nord-Trøndelag 2012, Havforskningsinstituttet, Fisken og havet no 4/2013 was written by Henning Steen, Torjan Bodvin and Frithjof Moy (SBM in the following; the paper is in Norwegian, the title translated.) 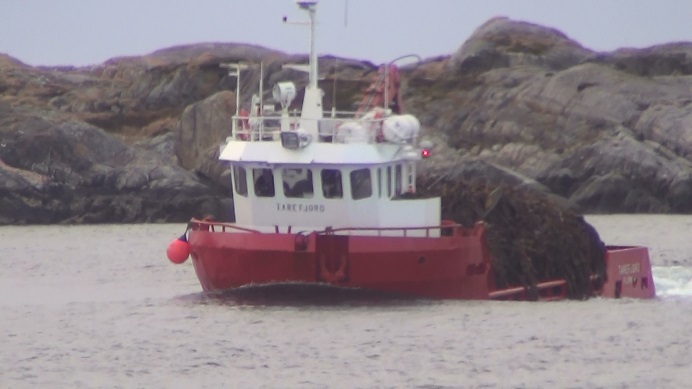 It was commissioned by FMC Biopolymer, which take financial interest in the positive conclusion that seaweed harvesting (taretråling) has no detrimental effect on biotopes where harvesting is taking place. 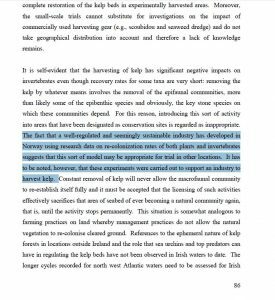 The paper’s conclusion seems to be that there is no significant difference in the observed wildlife before and after harvesting. “Apart from increasing the catchability of Goldsinny wrasse (ctenolabrus rupestris), no significant effects of kelp harvesting on fish and crab catches were observed in Nord-Trøndelag in 2012.” (From the English summary.) The wording also can be used in another situation: there is not enough data to conclude with statistical significance that there is a difference in the observed wildlife. From the paper, this also seems to be the fact. The authors point out some of the weaknesses themselves, but this may easily be overlooked. More on this below. We also question the sampling of species used to conclude whether the harvesting has any effect. Many factors influence the presence of fish right after harvesting, for instance the fact that the harvesting itself makes much food available to e.g. predatory codfish. The sampled and counted species should be the resident ones in the kelp forest, more than the ones that move and do not depend on it so strongly. We recognize the plan to follow up with research in the years after harvesting. However, if the baseline for comparison is as weak as we find here, the later observations will probably not tell us anything about harvesting effects. 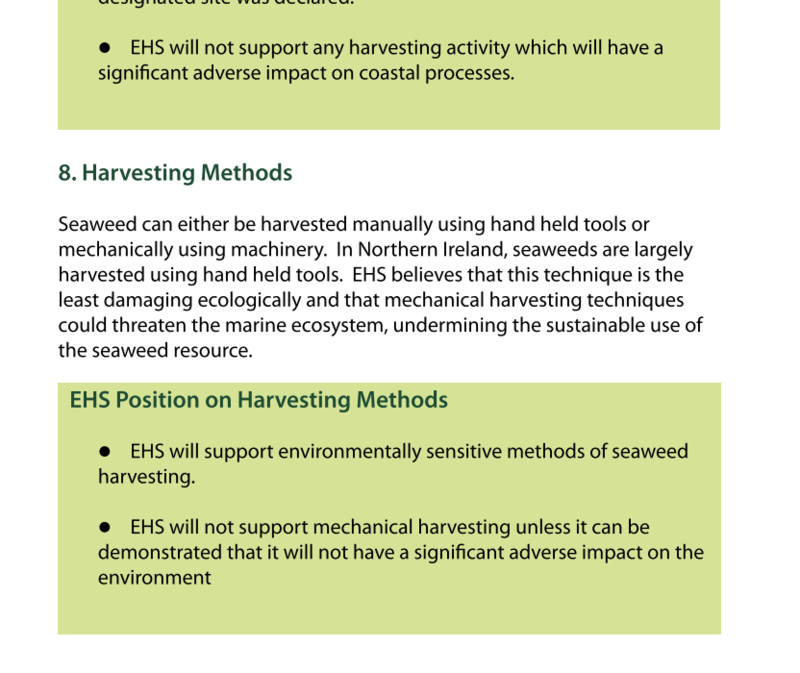 The authors seem to be unaware of the weight of the well documented claims that seaweed harvesting has strong negative effects. However, it IS sustainable to claim that research commissioned or sponsored by the largest commercial actor in the business cannot be viewed as impartial. 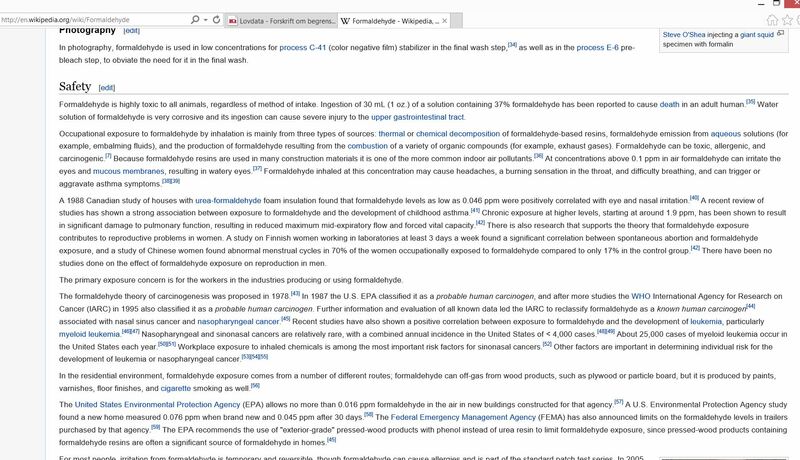 The connection to FMC Biopolymer calls for collecting of other information. Research calling for concern and greater caution is easily obtained, see some references at the end below. A brief discussion of the business on a general level is offered below. To be able to make statistically significant (meaning strong) statements, one must have a considerable number of observations. Here we see 2-10 pots used for counting the number of fish and crustaceans. This is completely insufficient. The comparison baseline is essentially useless, as we see it. It is possible to assess how many observations SBM would roughly need and how much different the numbers of organisms and species would need to be to make any statements. The species sampled among the appx 250 living in the kelp is also significant. (less than 20)This requires a combination of “plain” statistics and qualified marine biologist assessments, and we encourage SBM and other researchers to present this. In our opinion, their discussion of own results does not go deep enough. It might also have undermined the relevance of their work. This said, we do not doubt that SBM have done their considerable field work with good intentions and thorough planning. It’s just that the outcome is inconclusive, that this fact is not clearly stated, and that the conclusion in its fogginess serves their sponsor’s commercial interests. And, the amount of clear findings and conclusions by others should invoke a much clearer statement from SBM: We couldn’t find any connection, but other research indicates that there may well be effects we didn’t see. As Ibsen pointed out in his 1882 drama “An enemy of the people”, the ‘compact majority’ may be wrong. However, we believe that the diverse list of researchers referenced in the following paper should be listened to, and call for greater precaution. 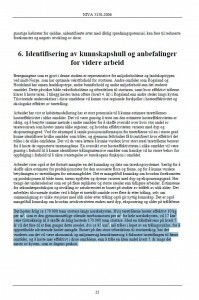 In this paper, 45 scientists from 7 countries are acknowledged and are understood to support the statement that Norwegian research is biased. See quote below. Eight of the 45 listed are Norwegians, and we find it encouraging that there are critical voices from within the Norwegian research community, considering that it quite small. 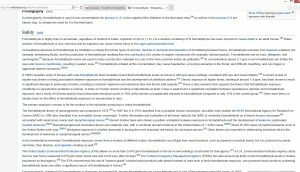 Debate and dispute in Norwegian research fora seem to be lacking. If a healthy dispute is actually lacking, it is crucial that other voices from outside are made heard. Our website Stopptt.com is an attempt to assist them, and even be such a voice. 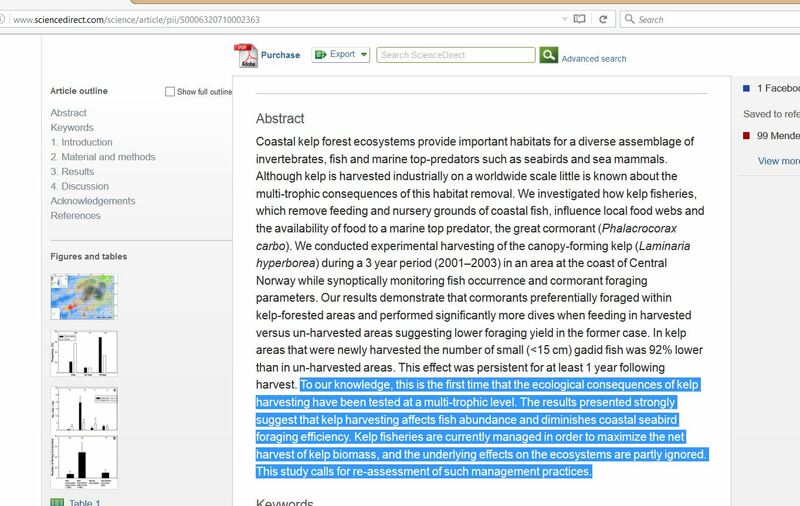 Below the blue-highlighted text in the snip, the authors claim that constant removal of kelp will never allow the macrofaunal community to reestablish itself fully, and that the harvesting “effectively sacrifices that area of seabed of ever becoming a natural community again” until the activity stops permanently. So, we find it reasonable to believe that were it not for the scale of the economic interest of (a) large corporation(s), the practice would have stopped long ago. We must also remember that it’s not in the industry’s interest to harvest a pristine kelp forest. The handling and alginate extraction is far easier with a less diverse biomass. Now, for a wider view on the operations: a piece of simple math says that about 87 km² of seabed is enough to produce the present annual amount of seaweed, with a 5-year harvesting cycle. However, for various reasons concerning the kelp’s quality and alginate content, new areas are sought for a shorter or longer time. Assuming the harvesting returns to the former places, the kelp forest never gets a chance to recover. 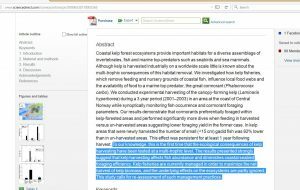 We are not against sustainable harvesting, and neither are most of other researchers. With 25.000 km of Norwegian coastline one should think that some kind of harvesting regime IS sustainable. However, until a fruitful and constructive dialogue with the industry is established, we cannot see another solution than requiring FMC Biopolymer to stop its present operations. We realise, regretfully, that this is difficult to achieve until further evidence of damage to the ecobalance is on the table. Pertaining this, we fear that Norway’s small research community and close bonds with FMC Biopolymer makes change of operations unlikely in the foreseeable future. We encourage critical voices to make themselves heard more clearly. 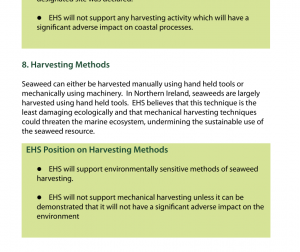 In addition to the high harvesting intensity, the operations have even been proven to be illegal at times: In 2011, seaweed harvesting was observed out of boundaries and FMC Biopolymer received a fine. Later, in 2015, they received a fine of 72.000 NOK. Furthermore, the perhaps minor crime of overloading the trawlers is standard procedure. The use of formalin to curb anaerobic decomposition of the seaweed at the facilities is more difficult to accept. The substance is banned in most countries for its damage to biotopes, and to human health. From a precautious standpoint It is hoped that SBM’s research and conclusions in the referenced paper will be considered non-valid and irrelevant. Steen confirmed in 2013 that he recognizes findings that 80-90% of small fish were gone 1-2 years after harvesting [NRK article], but says more research is required. This should not prevent Havforskningsinstituttet from adopting a more cautious attitude. If, or when there is a major ecosystems collapse, the integrity of the research community that has supported harvesting will be called into question. 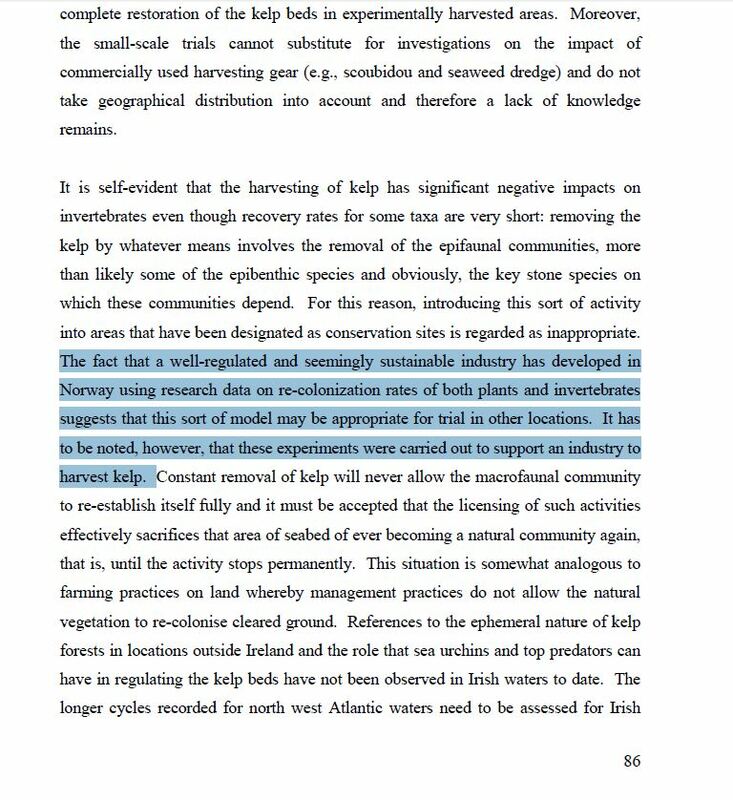 Just one last little snip – this is from research done on the effects of harvesting on seabirds and was not paid for by fmc.